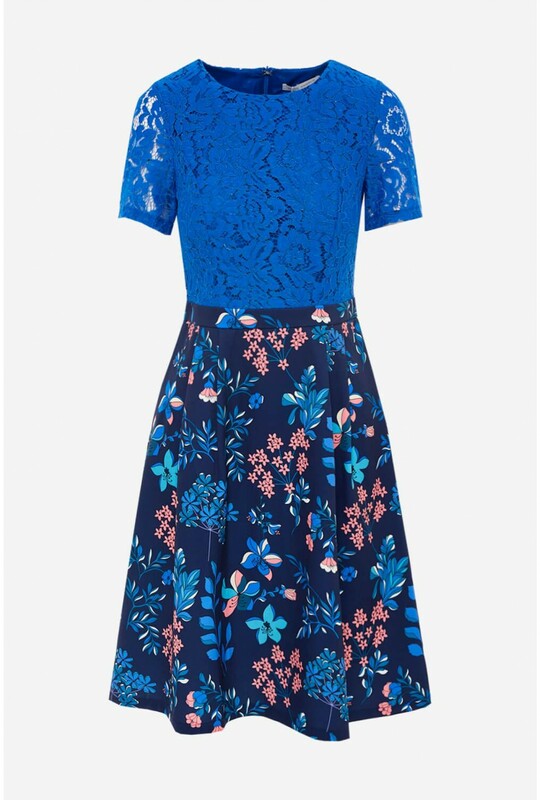 New in from Marc Angelo is this floral print occasion dress. 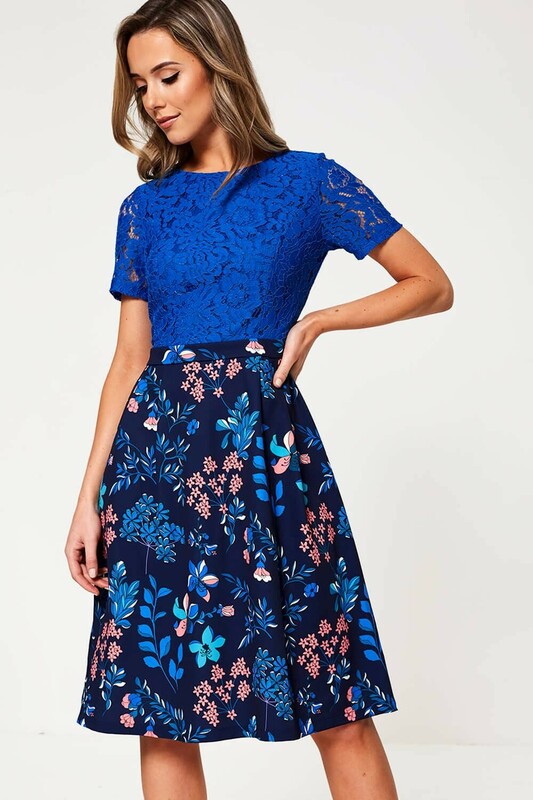 Featuring short sleeves, a lace bodice and falling into a flattering kick flare skirt. 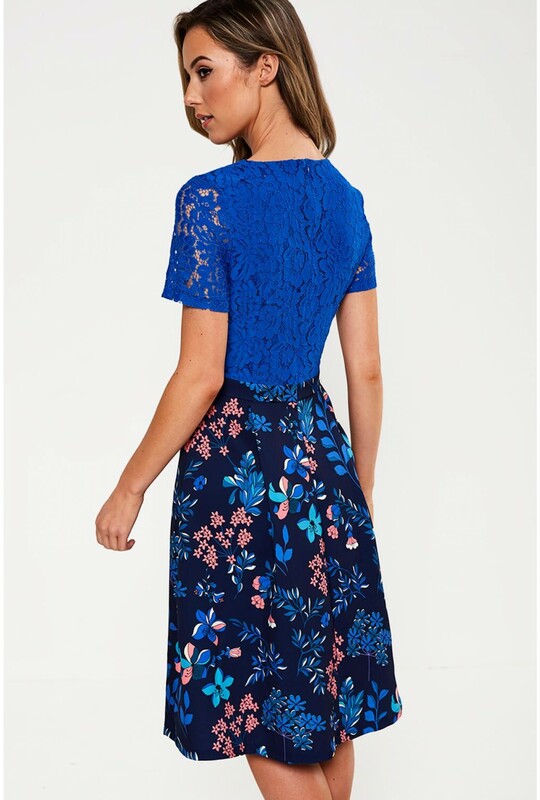 Pair with block heeled sandals and a matching clutch bag for an occasion worthy look.